The ports of Curaçao offer a wide range of ship services including tugs, salvage, bunkers, surveys, under water services, ship repair and maintenance, transport, water delivery, waste management and many more. KTK Tugs is responsible for all towing, mooring and pilot launching services in the various ports of Curaçao. KTK Tugs renders towage services in the Port of Willemstad, Caracas Bay, St. Michiel’s Bay, Fuik Bay and Bullen Bay. KTK, an ISO-Certified company and also member of BIMCO, American Association of Port Authorities (AAPA) and Caribbean Shipping Association (CSA), is the most reliable choice for all in-harbor, coastal and ocean towage, salvage and emergency response jobs, barge and pontoon transportation and other jobs throughout the Caribbean, Central America and the Northern coastal regions of South America. 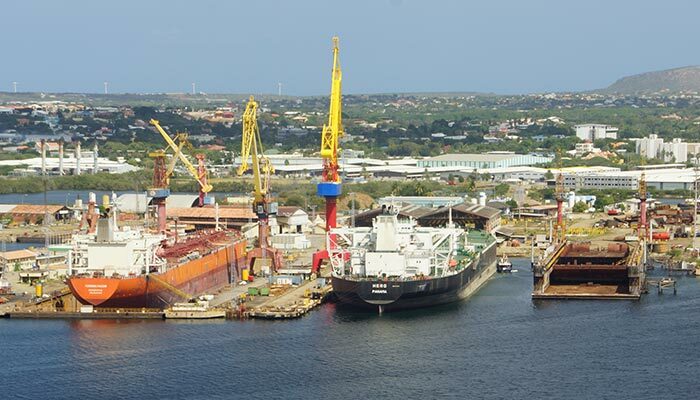 Curaçao offers excellent bunker refueling facilities for a large variety of vessels at various wharves in the Port of Willemstad and outside the main harbor. Curoil N.V., the local distribution company, has developed and invested over the years in its infrastructure in order to make it a full service bunker facility. Projects included the renovation and expansion of their sophisticated control center, the construction of two barges for bunkering purposes, a blending system that complies to specific product requirements and can blend viscosities on request up to 30 cst with specifications that comply with RMG or RME. Curoil also installed underground pipelines of approximately two kilometers connecting the tanks at the Motet Wharf to the Mega Pier and invested in oil spill recovery equipment as part of the environmental plan. The ex-pipe discharge rates vary between 350 to 400 metric tons per hour for fuel oil and between 200 and 400 metric tons per hour for diesel oil. At the Mega Pier the discharge rate for both gasoil and diesel oil are 150 cubic tons per hour. The Mega Pier Cruise facility is located just 200 meters to the west of the St. Anna Bay inlet. The T-shaped pier extends approximately 100 meters into the sea. It is connected by underground pipelines to the main bunkering depot at the Motet Wharf in Willemstad. It was primarily constructed to accommodate the newest generation of mega cruise ships. Because of their size, these ships cannot pass under the Queen Juliana Bridge which spans the harbor. This pier can also accommodate other types of vessels up to 200,000 GT, and larger ones on request. However, the pier is also used to attract “bunker only” business, as it provides a safe berth outside the harbor, thus combining the benefits of safe ex-pipe deliveries with swift and low cost operations. The Otrobanda wharves located in the St. Anna Bay harbor, en route to the Refinery, the Dry-Dock and the Container Terminal, hold an elaborate bunkering network, enabling bunker deliveries at seven berths. These facilities are primarily dedicated to cruise and general cargo vessels. However, tankers and other vessels calling for bunkers-only are regularly serviced at this location as well. All fuel grades, as well as the customary year round 24 hours a day service delivery, are offered. Service excludes overtime charges. Marine Gasoil (MGO) and Marine Diesel Oil (MDO), regular and low vanadium grade and also two grades of Industrial Fuel Oil (IFO) are supplied by ex-pipe. Ex-pipe bunkering facilities are available at the refinery in Emmastad at eight of the ten jetties. Tankers working cargo can bunker concurrent cargo operations within the sheltered refinery area. Vessels calling for bunkers-only can also be accommodated at the refinery on special request. Available grades are Marine Diesel Oil (MDO), marine fuel oil (MFO), and industrial fuel oil (IFO). MGO and Low vanadium fuel are supplied by barge. The refinery can accommodate tankers of up to 100,000 dwt and the max draft is 13.71m. When the harbor’s bunker facilities cannot accommodate the requests, bunkering can be supplied at the Bullen Bay facilities. 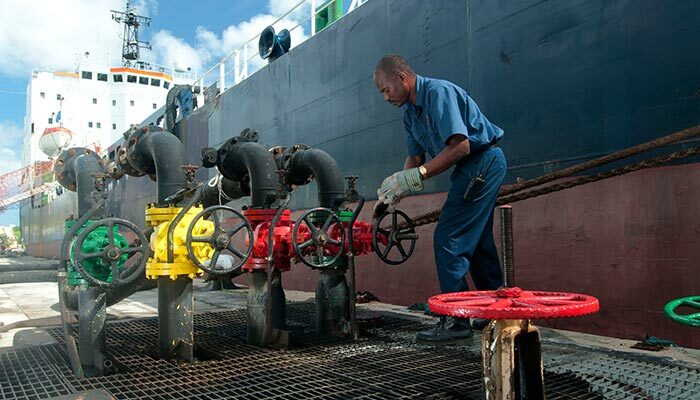 Marine diesel oil, intermediate fuel oil and marine fuel oil are available by ex-pipe at five of the six berths. 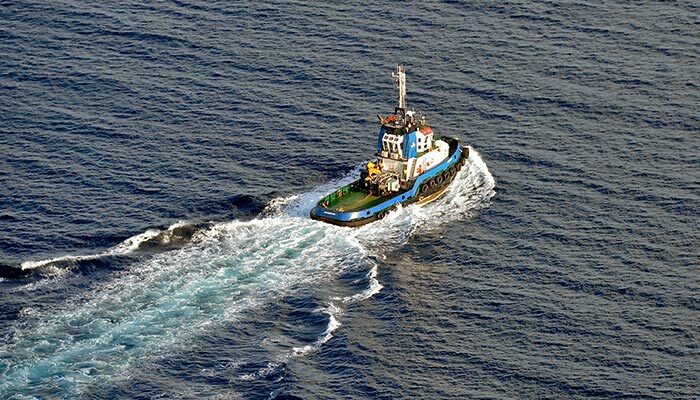 Delivery of marine gasoil and/or low vanadium fuel can be arranged by barge upon special request. At Bullen Bay, there are virtually no restrictions on vessel dimensions or bunker volumes. This area can offer attractive bunkers’ only option for big tankers, by offering substantial discounts off the fuel prices and a low calling cost packages. In the Schottegat Bay, a small 64m barge is used to deliver Marine Gasoil at the container terminal, the Isla Refinery and the Damen Shiprepair Curaçao. Fresh water for drinking and use in boilers is available day and night in sufficient quantities at all wharves in Willemstad. The fresh and chemically pure water is distilled from sea water by one of the largest distillation plants in the world. Fresh water can also be delivered alongside by means of water barges. Two water barges, one of 100 tons and one of 40 tons, are available. The rate of delivery depends on the quantity required and how many barges can simultaneously deliver water to the vessel. It also depends on the amount of connection on board of the vessel and the height above water to be lifted. Drinking water, spare parts, lubricant oil and other goods are delivered by water. Local suppliers operate boats and barges for conveyance and transfers in the Willemstad harbor, outer ports and at sea. Crew changes and transport of valuables for offshore purposes are also available. A wide range of international standard surveying services are available in all ports, ranging from Marine & Cargo Surveyors and Ship & Engineering Surveyors to Oil Surveyors. Marine Chemists and Gas Free Inspections are also available. The sheltered, deep, clear waters around Curaçao make it ideal for underwater operations. As a result Curaçao has several companies with extensive experience in all kinds of underwater services. Hull cleaning by means of the SCAMP or Brushkart make it possible to clean the largest VLCC within 12 hours. A TV system for underwater inspections is available. Other services provided are: welding, cutting, prop cleaning, photo surveys, etc. Licensed marine engineers are also available. Cleaning of the submerged hull section is possible in Willemstad, Caracas Bay, St. Michiel’s Bay and Bullen Bay. At the Isla terminals permission is required prior to cleaning. Cruise ships are serviced while calling in port. There are approximately 1,000 meters of repair quays and the maximum allowable depth alongside our quays is 10m; furthermore a graving dock, measuring 270 x 44m is available at the Damen Shiprepair Curaçao. Drafts are at normal medium level, which is 47cm above L.W.M. For detailed facilities specifications click here. At the Isla Refinery, opposite the shipyard, complete tank cleaning services are available. Vessels can also discharge their slops at this pier. Fresh water high pressure cleaning, chemical cleaning and under water cleaning are available. Services available are propeller-maintenance, repairs and seal bonding. The yard’s propeller shop is equipped with, among other things, 10 and 30 ton static balancing machines, pitch measuring equipment up to 7 meters, special welding equipment and all necessary grinding and polishing tools. This engineering method of effecting cold repairs of cracked, fractured or weakened machine parts of pressure vessels made of cast or forged materials can be undertaken either in the yard’s workshop or “in situ” on board of the ships. Epocast can be used instead of steel chock or cement grout for mounting diesels, turbines, auxiliary machinery, compressors, purifiers, and other high-temperature, precisely aligned machinery.